One of the biggest areas of concern in the restaurant business is food cost. It is ever changing. One week lettuce may be $10 a case and then the next week a drought in California causes it to jump to $50 a case. So how do you keep your food cost in line on your restaurant menu if the price of food jumps up and down? One way is through Market Price, where you routinely change the price of menu items according to the current market, which goes by supply and demand. Most commonly seen on fresh seafood or highly seasonal items like strawberries or raspberries, market price is listed where a regular menu price would be. It is also good for imported items, like caviar or truffles. When a dining patron sees the term Market Price, they will ask their server about how much the item costs. Market price protects your food cost. It allows you to charge what you need in order to make a profit. You can serve seasonal items all year round and know that your food costs are covered. Market Price is usually reserved for more expensive items. If more than a few items on your menu carry Market price instead of a set price, you risk alienating customers, who generally don’t want any surprises with their bill. And some customers don't want to be seen as cheap or gauche and ask what the price is, either. Market price is a good tool for managing a restaurant menu when used appropriately. Remember that case of lettuce mentioned, above? Imagine if you were to put Market Price next to your chef salad or Caesar salad. Wouldn't work right? Market price really only works with pricier foods, like fresh seafood or selective cuts of beef. Patrons expect that they will have to pay more for those items. Trying to monitor every single ingredient cost for your entire menu is not a reasonable expectation. Instead, creating a well-balanced menu of low food cost and higher food cost will ensure that even when prices rise, your food cost will remain in the black. 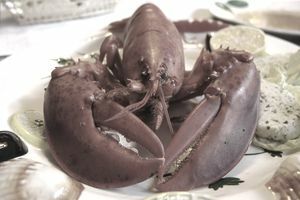 If lobster or strawberries are prohibitively expensive in your area in the offseason, it is probably wise to leave them off the menu. Instead, special these items only when they are in season or when you food distributor is running a sale, rather than serving a $50 meal (or more) that most customers will not buy. Offering foods only when they are in season has other benefits as well. Foods typically taste better and are cheaper.